Diving the shipwrecks Yukon & Ruby in San Diego is probably the most thrilling diving can offer. The Yukon control bridge of this battleship takes your breath away, figuratively:) We've booked three separate trips for you to choose from. Trips include boat ticket for both days, 2 dives each day, tanks, weights, fills , boat food and zero rentals fees for the weekend. Not included: Motel 6 (airport), Nitrox tank fills, Wreck certification or Deep certification. Thanksgiving Turkey Dinner in Fiji? Indulge in luxury this Thanksgiving in Fiji, the soft coral capital of the world. With access to two different reef systems and a house reef, your stay at Paradise Taveuni includes unlimited diving, gourmet meals and 7 nights accommodation in large lavish bures, traditional Fijian bungalows. Trip also includes all rental gear supplied by us, one core certification during the trip and a gourmet Thanksgiving Turkey Dinner. When: November 18th (departure from LAX) to the 27th Want to see all the details? Breath taking drop offs, clear blue water, Purple California Hydrocoral, Lingcod, nudibranchs, octopus and the many Torpedo Rays with a few sightings of Yellow Tail and other Pelagics. This top rated dive site is most famous for it's pink and purple corals, but be warned of it's difficulty level. Site: "Farnsworth Banks, Farnsworth Wall" or even "Farnsworth Pinnacles" is a extremely popular site for advanced divers and underwater photographers. The dives and boat ride can be a bit challenging. Location: This site is located 2 miles off the southwest side of Catalina Island. Warning: This is deep, currents can be strong so advanced fitness, skills and knowledge are needed. Rated: The diving is rated "excellent" at this dive site. H3 SeaBear - why is it so awesome? So you have you have finished your open water certification and wanted to be as cool and safe as your instructor, or maybe you have been diving for a while without a computer or the computer you have been diving with does not have all the sweet new features that advances in technology has brought to the diving community. Whatever your situation is, it may be the right time for you to invest in one of the most important pieces of your diving gear - Your dive computer. Of course there is a wide variety of computers out there and an overwhelming number of choices you can pick from but let me take a moment to tell you what my recommendation is and why the Searbear H3 is such a great computer. Besides the obvious fashion element of it (as some of you may know I am a model so the fashion side of it is always important), it is just slighter larger than the apple watch, but way cooler than one. It has a bright color OLED screen that even in California's sometimes challenging visibility can be easily read. The compass is one of the best out there and has a cool tilt feature that makes it easier to read and use, you can even use it on your hikes outside of the water. Seabear H3 is the leading dive computer on many fronts. It has 8 mixed gas options for all those tech divers out there and the 3 most common air/enriched air options are programmed as default (ask the shop about getting your enriched air certification - completely worth it). If you do any altitude diving, it has a programmed altimeter working from 0-10,000m; how awesome is that. When it comes to the detail of its logbook no other comes close. Soon it will be releasing its transmitter to be fully air integrated - cannot wait! And a favorite feature of mine - it is USB rechargeable. I was so tired of having to send my old computer off for battery change, well no more of that cost or annoyance as I just plug it into my computer and charge it while uploading all my dive data. Overall, the Searbear H3 has some really great features but an added little notch that puts it above the other dive computers is its awesome user interface, allowing you to display multiple screens at the same time. It is also mobile integrated and you can get all that kickass dive information to your cell pronto. That means it is simple to use and also to all those social media gurus out there you can brag about your dives on Facebook and Twitter before anyone else - and we all know how much we like to share our dive stories - Who needs a fish tale when you got a dive tale? Buy One NOW! You is ready for new Gear?? 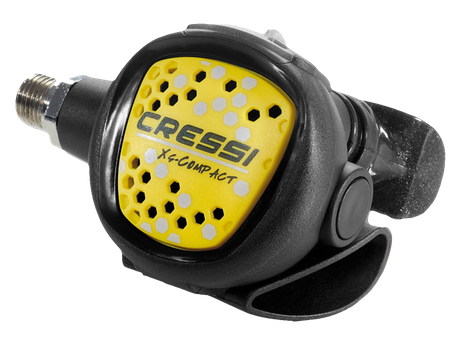 Maybe you have grown as a diver and now you need something a little better for the diver you have become. Why not trade in your gear and get something new and right for you. Or maybe you invested in great gear at the start but advancements in technology have made even better gear for you to enjoy is also a great opportunity to trade in your gear and enjoy some new toys. All divers get giddy and excited over their new gear but lets be honest diving can be an expensive activity and investing in new gear when your old gear may just fine can be daunting. But Guess What...By trading in your gear you have the chance to save a few dollars while getting some new equipment to enjoy and play with. I know I will be personally trading in my old fins I started diving with years ago for the new atomic blades coming out! What new gems could you get by trading in some of your old gear? It's the BIG SUMMER SALE going on now! Earn your Eco-Diver rating and work with REEF CHECK! Learn how to become a citizen scientist volunteer Eco-Diver for Reef Check Foundation. There is something surreal about shedding the drysuit, the hood, and all the weight and jumping into 86° water with nothing other than a rashguard and boardshorts. 3 weeks ago myself and a small group of California divers jetted down to the beautiful island of Cozumel. Known for having the best reefs in the Caribbean and amazing drift dives, this little island off of Mexico did not disappoint. We were in the water before we unpacked! The diving in Cozumel is world class. Each day consisted of 2 boat dives, and unlimited shore and night dives. The drift dives off the boat were a crowd favorite. Who doesn't love to drop down into crystal clear water and not move for 70 min? During these amazing dives we saw hordes of fish, nurse sharks, unreal coral formations, and tons of giant turtles. My personal favorite was leaving the current and entering the giant swim-throughs only to pop out and get swept away in the current once again. The dives off the shore were great too with spotted eagle rays, and free-swimming eels populating the area. Night dives are what you would imagine...it's true...everything comes out at night. All in all it was an amazing trip with amazing people. It was my 2nd time there in a year and I would go back in a heartbeat. Only 1 question...where do we go next? Come meet Stephen Ryan (Master Scuba Diver Trainer) and the rest of our friendly staff of dive instructor. 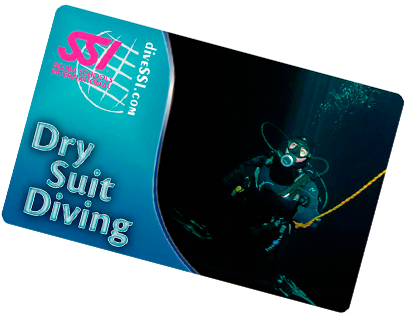 I recently earned my Master Scuba Diver Trainer (also known as "MSDT") certification. This distinction is awarded to PADI Instructors who have certified at least 25 PADI Divers and who have earned at least 5 Specialty Instructor certifications. My MSDT is a special personal milestone in my professional dive career. My journey to becoming a dive instructor began a little over two years ago when I got my Open Water certification in Bali. My final open water certification dive was diving the USS Liberty Wreck in Tulamben! When I returned to Los Angeles, I immediately went to Eco Dive Center and ended up buying a full set of gear. I was diving almost every weekend. I quickly became a scuba addict. I ended up doing all my PADI training with ECO: Advanced, Rescue, Divemaster and Instructor Development. I took a bunch of specialty courses as well including night diving, Nitrox, Wreck, and Equipment Repair to name a few. What's great about being trained as a dive professional at ECO is that you are truly part of a dive team that loves what they do. My dive colleagues are great resources and great mentors. It's great to be able to ask each other for advice on teaching techniques, class structure and management, and just about anything dive related. For me, becoming a dive instructor was one of the best decisions that I've made. I love the idea of being the person to introduce a person to scuba, the scuba lifestyle, and to a whole new undiscovered underwater world. A scuba saying that I love is "SCUBA IS LIFE. EVERYTHING ELSE IS A SURFACE INTERVAL." If you're up for the challenge, continue your dive education and even think about becoming a PADI pro. But if nothing else, get in the water and go diving! Getting creative with your lights is one of the best ways to stand out among the sea of cinematographers. So why not have a underwater team lighting a subject from unique angles. This is a great way to get that specific look you wanted from the start and is also a great way to have fun with your friends and family. Involve them in the process and show them the amazing photos or video you couldn't of captured by yourself. Where? Most common place this is done? Manta Ray Heaven on the Big Island in Kona. as a pre-teenage child they introduced me to the sport in our own backyard pool. Flash forward to 2004, at age 22, I went on vacation to Hawaii, and with a friends enthusiasm and my cherished memories about diving, I decided to get certified as a PADI Open Water Scuba Diver. I loved it. This was something that I worked for and earned. But, I didn't stay connected. I lived too far away and didn't reach out to other divers to continue my adventures in diving. 7 years had passed. I moved forward with other interests and curiosities, but eventually with a friends help I wondered back into another dive shop. Eco Dive Center staff and instructors were friendly and welcoming and quickly I dove back in. I took an Advanced Open Water class it was much like starting over. Everything was new to me. The gear, the boats, SCUBA techniques, I was fascinated by all of it and I didn't want to lose it again. So I stayed involved. I attended dive club meetings on the first Tuesday of every month. Rescue Diver and Divemaster certifications quickly followed, I was hooked. Continuing my education became very important to me and I was learning a lot. What you learn at each level in the PADI curriculum builds upon it's previous courses and all of it is so much fun. In my professional career outside of SCUBA diving you can work your whole life and never get your due. You can push yourself and stay in the same place without advancement or recognition. But with PADI, when you study and follow their structure, and perform the skills and dives necessary, you can earn that next level. You can reach further. I set my sights on becoming a Master Instructor. It's a lifetime commitment to what I love. The people I've met along the way, coupled with tons of fascinating dive experiences so far, I just can't say enough about how exciting it all has been. Teaching is the greatest responsibility and blessing I've ever felt. Presently, I'm an instructor with Eco Dive Center and still continuing my education through online learning, shadowing other senior instructors, and staying involved in diving and dive shop operations. This is my journey. I love diving, learning from others, and giving back to fellow divers. Please remember to dive responsibly, continue your education for your own enjoyment and preparation for the future. 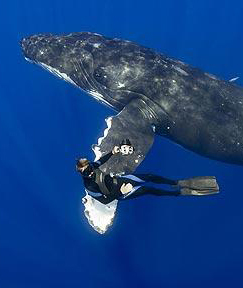 Reach out to fellow divers to stay involved so we all can have a extra buddy out there. This is one of many experiences for our lifetime and I'm delighted I get to be a part of it on a daily basis. Thank you to all the divers out there that reached out to keep me involved. It's official! Three dive clubs have decided to share all the benefits. Free air-fills, online discounts, free specialty courses and more. Pacific Explorers is a fun group that likes to beach dive A LOT, and they schedule beach diving parties and lots more, check'em out on facebook or go to http://pacificexplorers.org/. Ex-Sport Chalet Instructor Writes: Toto we're no longer in Kansas. My diving career started with Sport Chalet (SC). From Open Water to Instructor the institution stood by me. I can say that I learned the SCUBA basics from them. Although not a "True" SCUBA shop they provided the fundamentals to get anyone started in their diving career. When notice was given that SC was to be no longer, I saw a major speed bump in my diving career. As it is often said, "When one door closes another opens." The SC door closed and the Eco Dive Center door opened. Although, during the transition period seemed like a tornado had touched down; the Eco Dive Center family led me down the proper yellow brick road. Once accepted to the fold, I realized I was no longer in Kansas. I was in a true dive shop. What seemed to be routine was not. I was in an environment that sooth neoprene, steel, and air. Was I dreaming? Or, was I in SCUBA OZ? Did the lion become brave or did the scarecrow have a brain? No matter, the people at the shop always seem to direct me to the Emerald City. The air tanks were full, the masks were clear, and I was going to be teaching again. The staff's knowledge was beyond basic and there were no ugly monkeys to content with. Was I happy for the tornado? I am of the opinion that Auntie M will not see Toto for a long while. For today, I am expecting to reside within the confines of the Emerald City. Within the walls the tanks are filled and the knowledge to be gained is enormous, plus I do not expect another tornado. Hope to see you soon in green or yellow neoprene. Think about it, how much is an air-fill? How about this deal, free air-fills for 2016 and 2017? Buy any aluminum 65 or 80cf tank from us and earn those free fills. As an Advanced Open Water Diver, you've been confined to a maximum operational depth of 100 feet. Sure there's a lot to love in that range, but 100 feet is still only scratching the surface of what diving has to offer you. There's a mystique to the deep and when you're a new diver just breaking through that 60-foot barrier feels like you're exploring to a new realm. The allure of going deep doesn't end when you've been there once. There are wrecks, unique coral and fish-sights you won't find anywhere else. Ask experienced deep divers and you'll hear the enthusiasm in their voices as well as the respect for the serious nature of deep diving. Forever Cheaper than Amazon Discount Code!!! What? We're announcing our new strategy to combat Amazon. This discount code will always beat Amazon prices GUARANTEED. How? Enter www.ScubaGearExpress.com and start shopping, at checkout enter coupon code "amazonkiller", then you'll see your adjusted total of 10% less, along with free ground shipping and No CA sales tax. ScubaPro Chromis Wrist Dive Computer in SEVEN COLORS! The New 2016 BARE X Mission model has a specific in-store sale with discount AND free drysuit certification. Ever wonder how those boat divers stay so warm between dives? 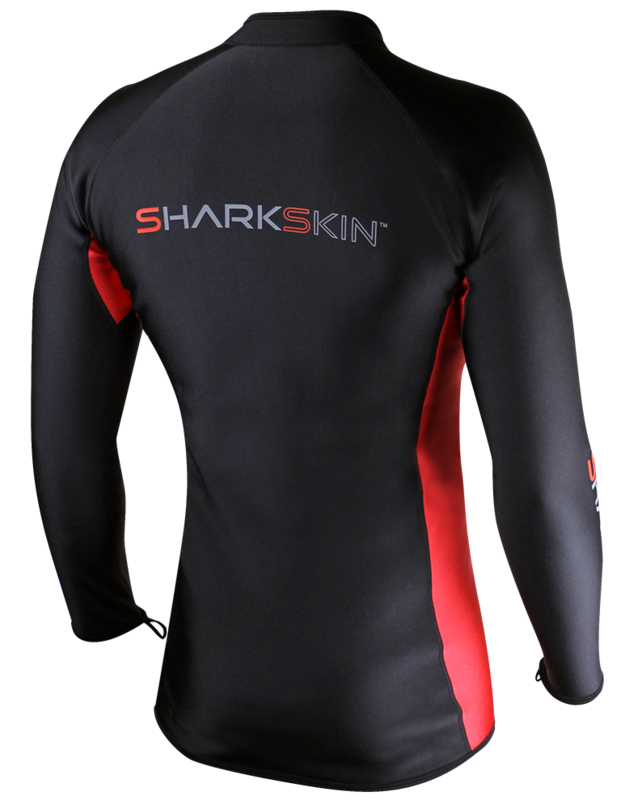 That's because they have a SharkSkin under-layer underneath their wetsuit. For a limited time all jumpsuit back zip Shark Skin products are on sale at 25% off and we'll even pay your sales tax for you. , tell us what you want, we'll order it, discount 25%, we'll pay your tax and shipping. Are your regulators old school? Maybe it's time to treat yourself or have your family purchase you a nice Atomic Aquatics regulator or the macho ScubaPro G260 regulator. Whichever one you get , you'll receive a free Cressi Octo back-up reg. Free assistance with warranty paperwork, free assembly, testing and free pool practice with your new equipment. Look, we don't live in a perfect dive world and dive computers have been known to run out of juice or malfunction. So this is why divers preemptively prepare for that emergency situation. That's why we'll help YOU with the investment by giving you a back-up mini SPG worth $109.95 (YES FREE). Not only are ALL computers they all on sale at Eco Dive Center and Scuba Gear Express but you'll also get a free back-up SPG, on the house!! 2016 is almost here it's time to change your old and busted mask, snorkel & fins for the new 2016 hotness. For a limited time, take an additional $100.00 off the Atomic BladeFin/SV1/Frameless Combo AND to sweeten the deal even more for this holiday season we'll pay your sales tax if you bring in your old gear and donate'em to our rental department. Free shipping on Scuba Gear Express. We'll pay the instructor for you. And we'll pay your Drysuit study tools and certification fees and certification card. The NEW S.C.U.B.A. Acronym... S.A.N.T.A. S is for SERVICE: For the month of January only. Take 20% off labor and parts. Some manufacturers require annual inspection or annual service of your regulators to keep the warranty active. Plus it's your life support System and you need it operating optimal. 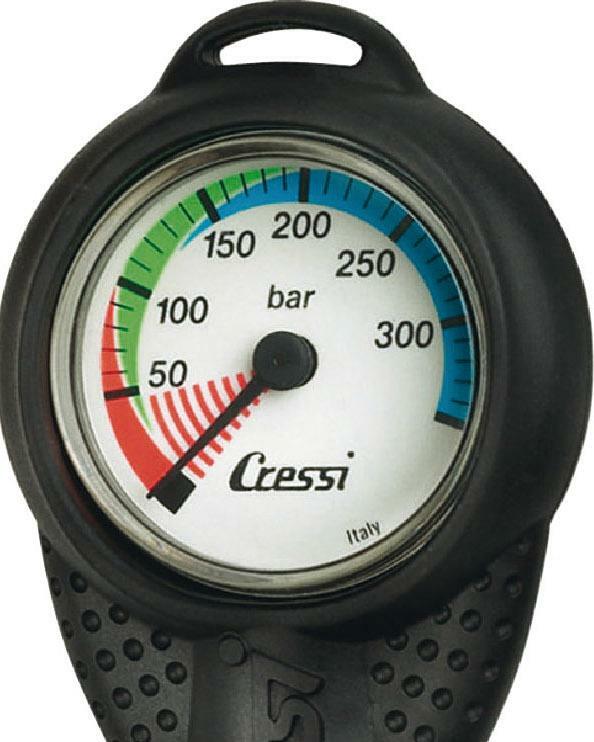 So during the month of January, drop off your scuba regulators to be serviced at Eco Dive Center in Los Angeles. A is for AIR-CARD: This is when we have an awesome air fill card promotion. 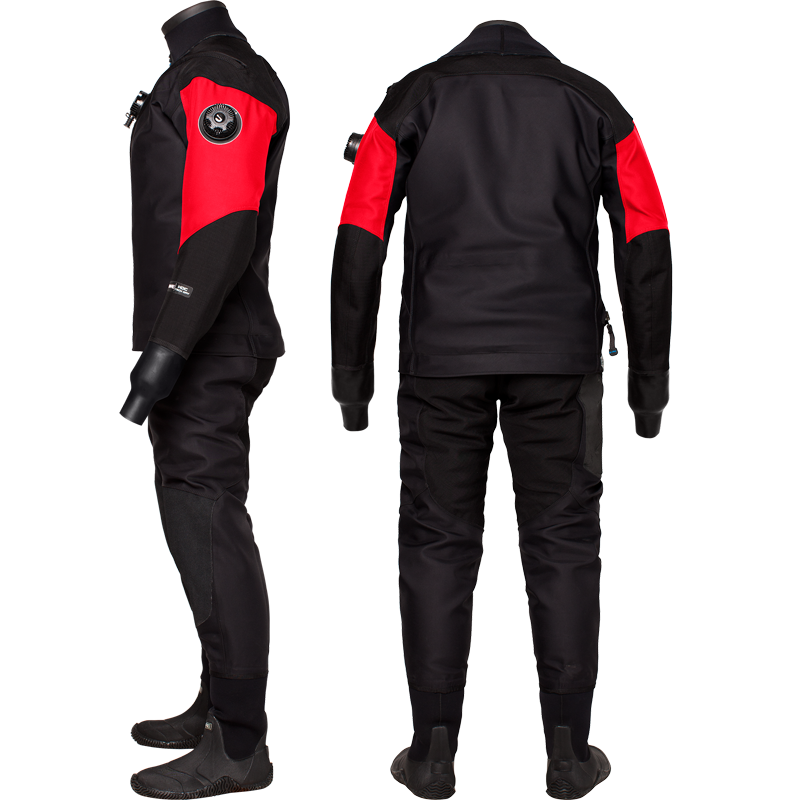 A is for ARGON: Do you own a drysuit and want an extra 1 or 2° of warmth? This is "the" best gift ever! 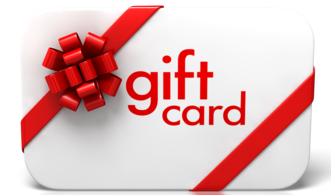 Give the gift of scuba gift cards. They can be used on anything store-wide including courses, dive gear and or adventure trips. The National Resources Defense Council (NRDC) and the U.S. Navy reached a federal court agreement that impacts us all here in California. 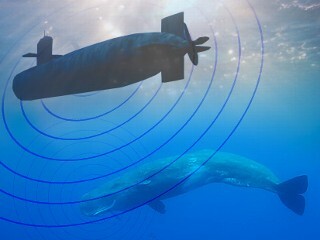 The settlement deal, among other things will cause the navy to silence its sonar in areas around Southern California during certain periods of the year when marine mammal populations are most vulnerable. The agreement runs until the end of 2018 when the U.S. National Marine Fisheries Service is scheduled to review the environmental impacts regarding military exercises in sensitive waters. A well-defined area off the California coast between San Diego and Orange County, for instance, will be off-limits to sonar and explosives testing during the months-long summer migration of blue whales, the largest animal on earth. And the navy says it will no longer conduct training and testing in large portions of its most frequently used area west of San Clemente. Intense sound waves can have direct physiological impacts on whales, including internal hemorrhaging and ruptured lung tissue. Sudden loud blasts not only lead to whales fleeing from their natural foraging and breeding grounds but can also make them rocket toward the surface, causing them to suffer the "bends". The U.S. Navy doesn't deny the evidence linking its training exercises to whale deaths but for many years, it has refused to avoid sonar-based exercises at certain times and in defined places where marine mammals forage, breed, and migrate. Bio: Stefanie has many years of experience in Underwater photo and video production. For many years she focused on adventure sports and traveling and spent a big portion of her time in the ocean. She has hundreds of hours of diving with shark of all shapes and sizes, and has been working in Ocean related professions for years - one of them being a shark diving operation in Hawaii called Hawaii Shark Encounters, which she owned and operated with Jimmy Hall since 2002, and which she sold on to new owners in 2014. In recent years her political work has put Stefanie on the forefront of shark conservation, in particular in the Pacificregion. She was a driving force behind the first shark fin trade ban in the Nation in Hawaii in 2010 and has since then dedicated her life to the conservation of sharks. Stefanie has worked as a team member or consultant for several other great NGOs and founded Shark Allies in 2007 in Hawaii. 2014 she brought the organization to California. She is also the Executive Producer and cast member of "Extinction Soup", a documentary film about sharks and the major threats they are facing. Instead of asking why you should dive with a full face mask (FFM), maybe you should ask yourself, "Why not?" If you've never used one before, you may be unaware of the features and benefits a FFM provides. Whether you've been diving for years or just earned your C-card, common goals unite all divers - safety, comfort, and of course, adventure, just to name a few. You depend upon your dive gear to help you reach these goals each time you dive. A FFM could be just the piece of gear you need to enhance your future diving adventures. Professionals use FFMs because they offer extra protection when diving in extreme conditions, and until recently FFMs were only available to these divers. 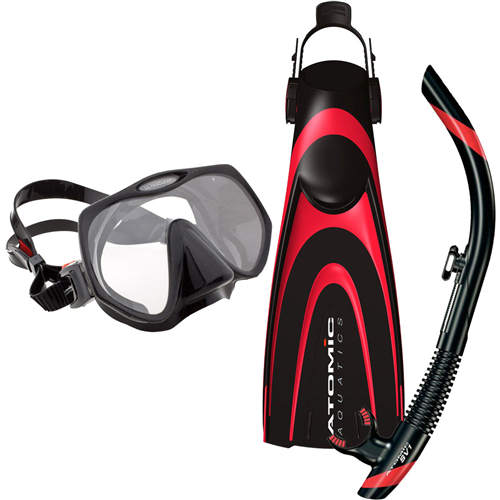 However, user-friendly design and affordable prices have made FFMs accessible for all divers. Today, lack of awareness is all that stands between a recreational diver and a FFM. Santa Cruz Island is the largest and most topographically diverse of the eight Channel Islands. Santa Cruz Island is approximately 24 miles in length and encompasses 77 miles of pristine coastline, including two mountain ranges, a pastoral central valley, ten plant communities, and numerous endemic plants and animals. Santa Cruz is divided up into the West End and the East End. The West End of Santa Cruz Island is owned by the Nature Conservancy , a nonprofit international membership organization that preserves the plants, animals, and natural communities that represent the diversity of life on our Earth by protecting the lands and waters they need to survive. The East End of Santa Cruz Island is owned by the National Park Service. Both parts of the island are available for day trips with certain limitations. Giant Pacific Manta Rays, humpback whales, lots and lots of sharks, dolphins, turtles, tuna and large schools of fish. This is why the Socorro Islands are known as the Mexican Galapagos! This all inclusive price includes 8 nights accommodation, all dives, all your meals AND free local beer and wine. The ship departs from Cabo San Lucas and is only a short flight from Los Angeles. If you want to see the BIG stuff, this is the most economical trip to do that.